Discover the coveted formulas of the MAKE UP FOR EVER foundation collection, a range of high performance foundations for flawless skin in every light. Whether you’re in or out of the spotlight, MAKE UP FOR EVER foundations will help to unify, correct and perfect the complexion. 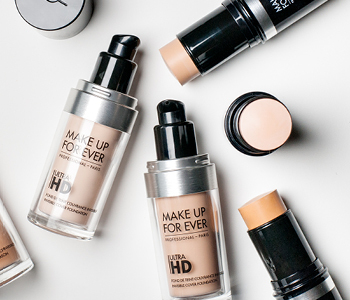 Created for makeup artists and everyday women alike, MAKE UP FOR EVER has developed a foundation range with something for everyone. Whatever finish or look you wish to achieve, the MAKE UP FOR EVER foundation collection will help you to put your best face forward day-after-day.